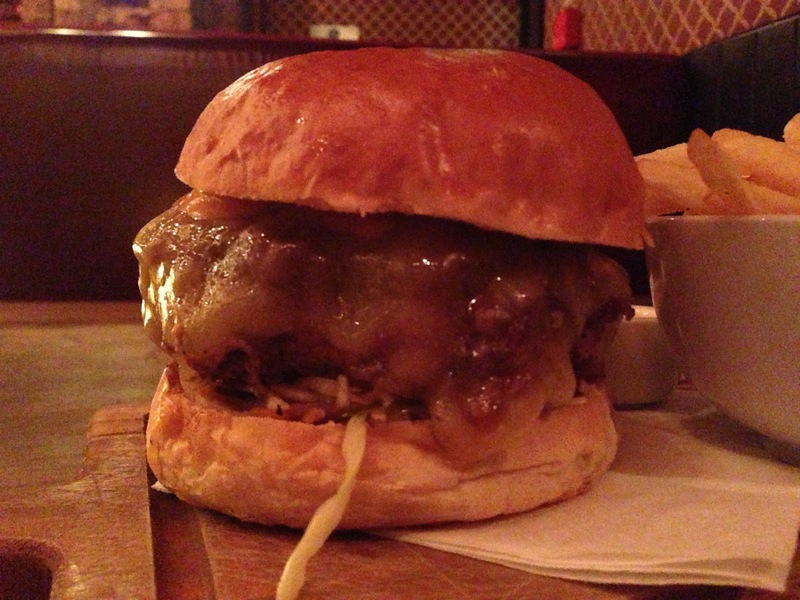 I had visited Wenlock & Essex before and sampled their signature burger, I never got around to reviewing it on here but I would describe it as a meat eaters delight, with a mound of pulled pork on top of the chunky beef patty. I've posted some pictures below. I have come back here as head chef and burger enthusiast James Morgan has created a special burger, The Thirty Burger; 30% fat patty, 30 day aged and available for only 30 days and there has been a big buzz on twitter. Most burger recipes you come across will recommend 20% fat content, I assume that most burgerjoints stick to this, I could be massively wrong, but this will quite possibly the highest meat to fat ratio burger I will have ever tasted. I visited here alone ;( I had a window before going to The Arsenal and with Wenlock being so close it was an opportunity I had to take so being alone was OK. The lighting inside was quite dim, so being alone I didn't fancy the flash going off and bringing attention to myself taking pictures of food, so the quality of picture isn't the best. 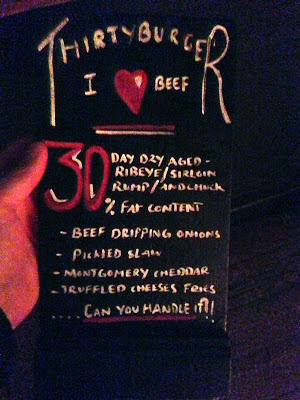 MEAT - The USP of the burger, 30% fat content, 30 day dry aged, ribeye sirloin, rump and chuck beef - sounds like a gimmick just words, its not, its delicious. 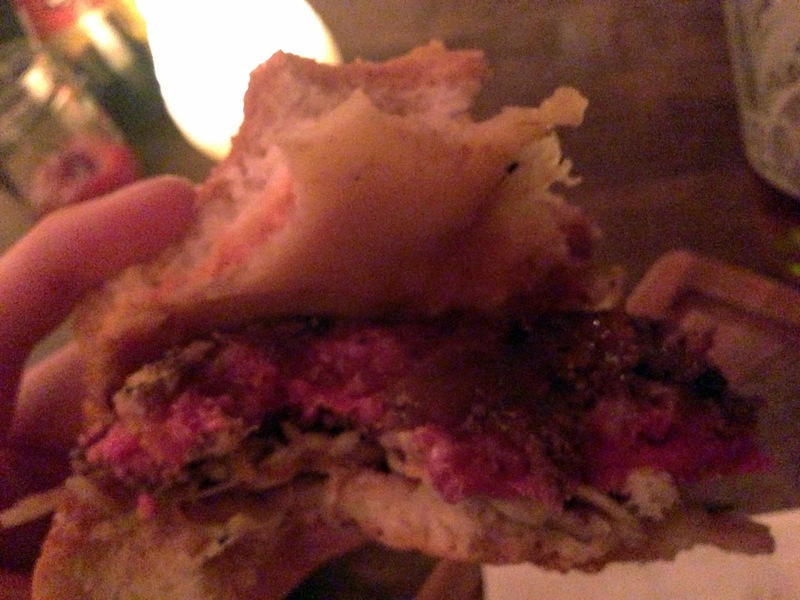 The flavour in this patty is pure quality, but the really magnificent thing is the juices that flow from every bite. 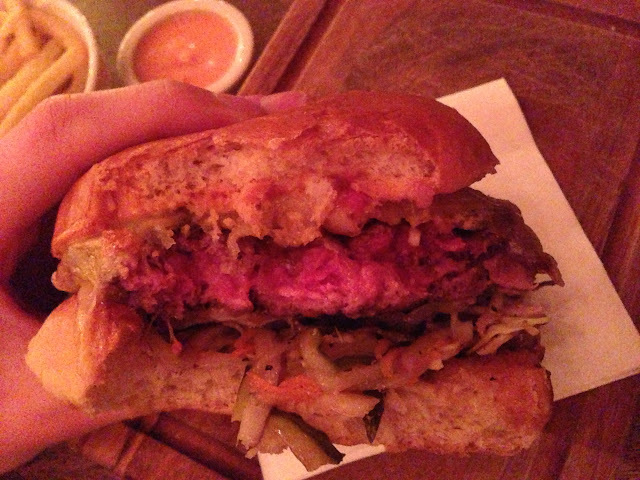 Every chew of the burger you are hit with flavoursome juices from the patty, it nearly makes chewing redundant its that juicy. I'm not sure if its the fat content or the quality and variety of cuts used but whatever it is, keep doing it. BUN - A little tap on the top of the bun and panic hits, it felt like it was going to be a stale dry bun but how wrong I was! 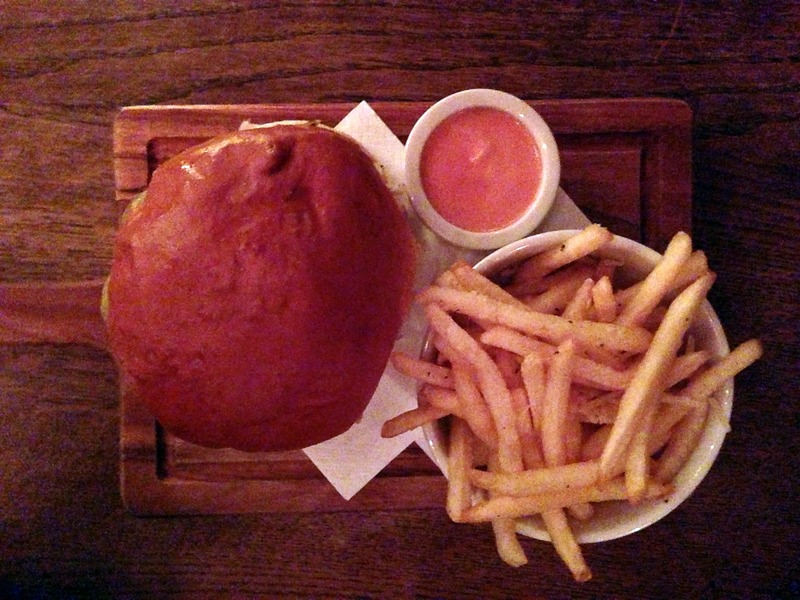 The hard top was just a thin crust protecting the soft juice catching brioche and was perfect in enabling a tough grip on the burger which with such a big patty and a big bite needed, necessary. The bottom did slightly crack mid burger but lasted without breaking. TOPPINGS - There is a lot going on here, coupled with the juices from the patty it throws your mouth around like a joyful roller-coaster. 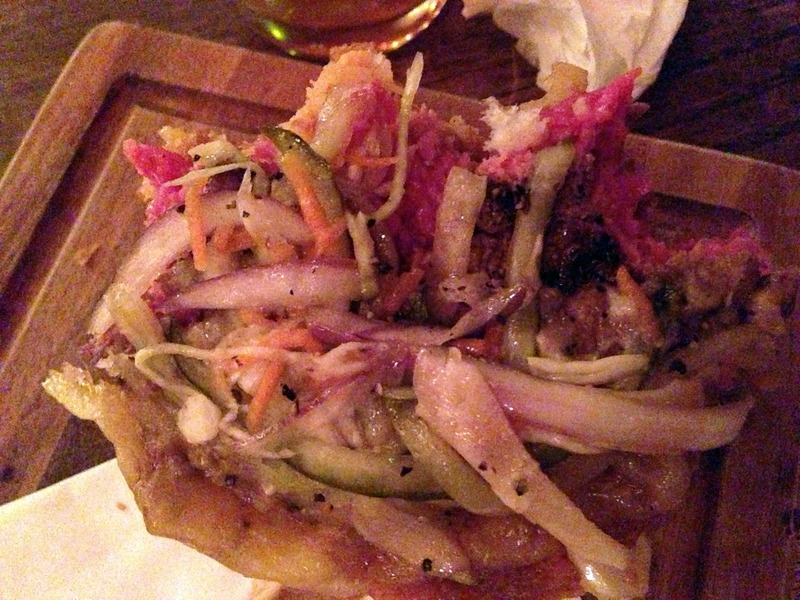 The patty sits on a bed of pickled slaw; there is carefully shredded red onion, pickle, carrot and lettuce from which the red onion and pickles really stood out. 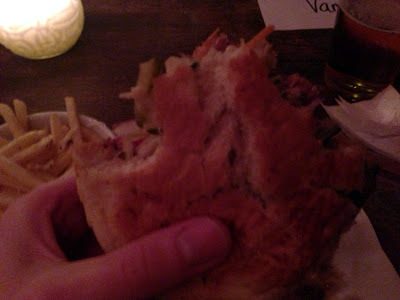 The onion had a soft sweet delicate flavour and the pickles being shredded is genius that I hadn't experienced before, I fully expect more places to adopt this in the future. 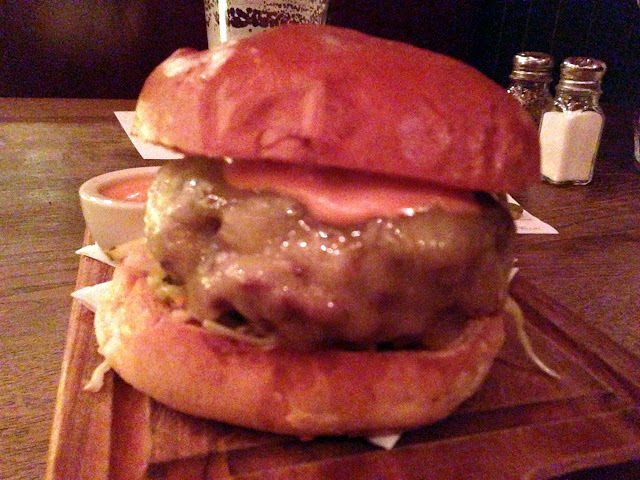 There is a mound of thick cheddar cheese covering the patty which I loved as too many places scrimp on the cheese. There was however a small section in the middle which hadn't melted and the cross over of cheese slices was showing. SIDES – I am usually a fries then burger guy, but I switched for this meal. The burger had left me full and satisfied but I finished off the fries without realising, they were really good with an incredible crisp on the outside and the flakes of cheese gave another dimension, which made finishing them off a lot easier than I had anticipated. Not reaching for any condiments is a clear indication of superb fries. 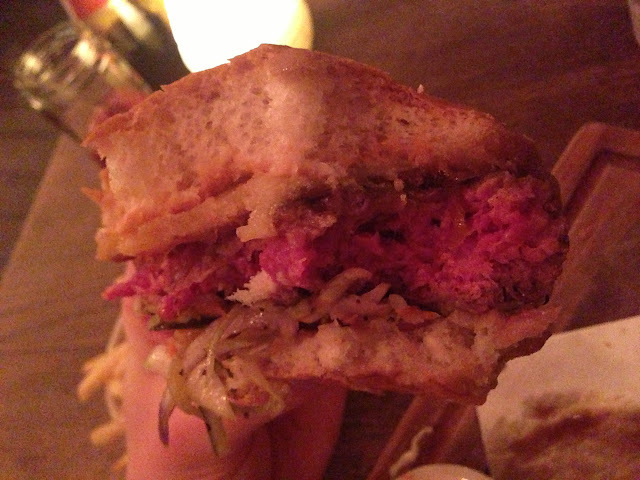 A great burger that lived up to the twitter hype. 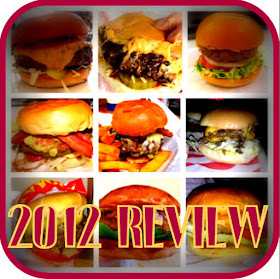 The juices from the beef are extraordinary and the sweetness that comes from the toppings makes this a special burger. A joy to eat and I will be back with others to eat before its gone - don't miss out! 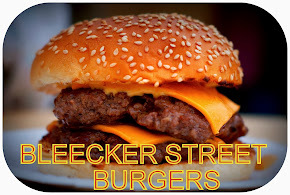 Make sure you follow James Morgan on twitter to get the latest burgers info at the Wenlock & Essex, definitely expecting 2013 to be a big year for him in the London burger craze. Some pictures from my previous visit. For more unseen burgers check out my gallery, over 500+ pics in there. Looks like a fine burger.